you and all your team." If you are undergoing difficulties in your relationship with a spouse or partner, then it is imperative you seek prompt advice and assistance from a solicitor who can explain the various options available in the event of your separation taking place or becoming permanent. We appreciate this is an extremely stressful and emotional time for all parties involved and recognise how important it is that you feel confident and comfortable discussing matters of such a personal nature with your solicitor. To this end we pride ourselves in offering an understanding, friendly and professional service. We aim to provide you with all the help and assistance you need, whilst remaining sympathetic yet efficient at all times. 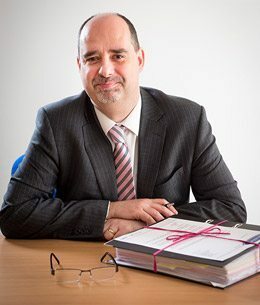 Rod Stephenson heads up our Family Law department and is a member of ‘Resolution’ (formerly known as the ‘Solicitors Family Law Association’) and as such is a signatory to a code of practice, which commits family lawyers to resolving disputes in a non-confrontational manner. If you have a personal matter that you would like to discuss with Rod Stephenson, without obligation on your part, please email or telephone to arrange an appointment.